CentricAir 3.4 Whole House Fan 3242 CFM (HVI-916) up to 3400 SQ. FT.
CentricAir 3.4 whole house fan delivers a powerful 3242 (HVI-916) and requires about 4.0 sq. ft. of net free attic ventilation. It uses 382 WATTS of power and costs about $0.05 per hour to operate. It’s designed for two story homes up to 3400 sq. ft. and single story homes up to 2500 sq. ft.
CentricAir whole house fans use a German engineered fan that is 30% more powerful and uses 1/3 less energy than other industry fans. These energy efficient fans are rated for 40,000 hours of operation and come with a 15-year warranty. Industrial grade gravity fed back draft damper requires no power and now comes standard with all CentricAir whole house fans. The gravity damper is designed keep attic air from entering the living space when the whole house fan is not in use. Single Speed Timer allows you to operate the fan on high speed and also choose how long to run your fan (1, 2, 4, 8 hours or HOLD). CentricAir model CA1248 is a wireless two speed remote control with timer. It features an LED display so you can clearly see what speed your whole house fan is set to (HI/LOW) and how many hours (1, 2, 4, 8 hours or ON) it is set to run. The wall mounted two speed switch & timer lets you set the speed of your fan and choose when it will shut off. Grille Size (outer): 16" x 28"
Rough Opening: 14" × 26"
The Centric Air 3.4 is a high quality, very powerful and ultra quiet alternative cooling solution. It uses a German engineered industrial grade fan motor that can provide 30% more power while using 1/3 less energy as compared to other industry standard fans. 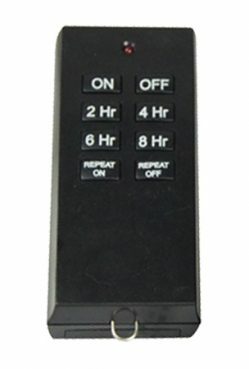 The optional two speed remote control with timer is our most versatile control and features an LED display and 5 Timer Functions 1, 2, 4, 8 hours or ON. On high speed the system operates at a powerful 3011 CFM. Set to low speed the system provides a comfortable flow of air while maintaining a whisper quiet noise level. A fundamental problem with traditional whole house fans was air leakage between the attic and living spaces. This could result in dirty attic air entering your home. The 3.4 takes care of this problem with an industrial-quality damper that is thermally insulated and maintenance free. Silicone seals are provided to ensure sealing longevity; they also provide phenomenal resistance to weathering and changes in temperature. Silicone seals have an approximate service life of 30 years and remain flexible down to -40 degrees F/C. The Centric Air 3.4 comes with a high air flow register that reduces air movement noise through the register. These high-performance grills look great too, so your system looks as inconspicuous as it sounds. Thought I'd add my comments. I had my 3.4 installed in July 2014 and we use it almost every night from April to November. The second story stays warm even with A/C going so as soon as the outside thermometer is 1 degree cooler than the inside, I kick on the whole house fan and the upstairs begins cooling immediately. 5 years is a pretty good endorsement for this product and I've told many friends about it. Great product. Excellent Product works as advertised. I wanted a fan that would be large enough for my 3500 sf house. The Centric Air delivers 3200 cfm and that works out to double the cfm per square footage. I installed it in a hallway in about the middle of my house and hung the fan pointed at a gable vent in my attic. The fan moves a tremendous amount of air. In fact so much air, a small amount of air comes out of a few outlet and light switch in my house. So now I am in the process of adding additional vents to my attic. The fan works great it is very quiet. It is quieter than our central air. I would absolutely recommend Centric Air products to any one thinking of whole house fans. I have been in construction for 32 years, the last 12 have been as a project manager. I have installed 4 other whole house fans in the past and I got this one because it was advertised as quite…… I unpackaged your 3.4 and read thru the instruction, my first thought was “they make it sound easier then it will be” what a great marketing idea…..when I have a problem I hope theirs someone to answer the phone!! Well here I am to say, wow! It was as easy as a product should be to install. The direction are as it goes in, simple. I expected at a minimum to have to relocate the receiver box for the remote due to its tucked into a pocket in the attic that for all intents and purposes is surrounded with duct work from every angle but so far I can’t find a dead spot from anywhere in the house and most of all when it is on it doesn’t sound like the swat team helicopter landing on your roof!! I will most likely be replacing the old whole house fans in a couple of my rentals with your product…… Tip- I did upsize, I got the model to accommodate 3400sf and my home is 2500sf. Works perfect. I installed the 3.4 whole house fan. Needed some basic questions answered and wanted to thank Mike & Dave for providing technical support on a Saturday. Installation was straightforward with no problems, especially since I did a vertical installation. The best part of the process was at the end when you are hot and covered in sweat from working in the attic and you get to sit at the air intake and feel what seems like arctic air blowing over you! Thanks for all your help. Just wanted to thank you for your great product and service!! I reside in Utah and love the R50 cold weather damper with the 3.4 fan. The hot desert temperatures we experience have been much more bearable with this excellent fan system. It is working perfectly, is very quiet, and really draws the air through my home. Your expertise and friendly service were awesome!! Your DIY instructional video was very helpful. The installation was straight forward and went very well. Thanks!! I’m very familiar how practical a whole house fan can be, to move air for cooling, or to just clear the house of odors or accidental cooking smoke, at your command. I didn't want to buy, and install another noisy, big bladed, high velocity fan, that opens noisy vibrating louvers with air volume. Searching the web, I learned about many products. Thankfully I stubbled across the comparison video of Quiet Cool vs Centric Air. I called the company and Dave explained any questions I had. It all made perfect sense. It was quiet, the grill is attractive, the quality is second to none, the multi function wireless remote eliminates having to run electrical conduit for a wall switch, the winter R50 damper was an easy decision as I live in Chicago, the installation was truly easy, along with personable customer service. The price seemed rather expensive, but of no consequence, when looking for the best! I got what I paid for, and I LOVE it! You won’t be disappointed. The 3.1 really moves the volume of air I was looking for. My home is 2500 sq. ft. with 9 ft ceilings and an 18 ft living room ceiling. I’m so glad I purchased the indoor-outdoor thermometer also, as it leaves nothing to your imagination, when it comes wondering if you should turn the fan or not. The last thing I do is to check my phone app for weather humidity. If that’s low enough, I’m good to go. Thank you Mike and David at Factory Fans Direct. I have a 3700 sq ft home with a great room with 20 ceilings and live in the Chicago area. 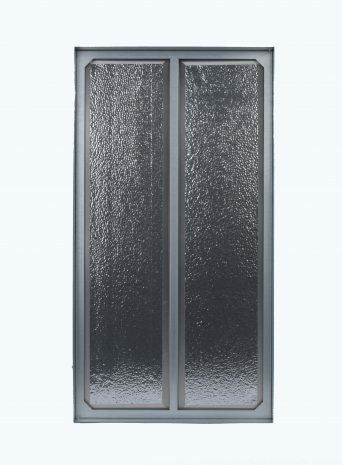 I wanted a fan that could be put into a vertical wall and also have a thermal barrier. The CentricAir 3.1 with the Power Damper worked perfect. I mounted the damper at the high point of the vertical wall and added R-30 into the damper door and I was very pleased. Great engineering. I have a 3500 Sq. Ft, single level home and shop around and compared all the house fans out there. It was between Quiet Cool and CentricAir, after hearing both fans I chose CentricAir. It was quieter and I liked the German computer-balanced 5 blade fan. I have in my house now for over 2 months and love it. It is whisper quiet, cooled my home and brought down my electric bill. Great Fan! !